Walker Hayes @ Power Plant Live! 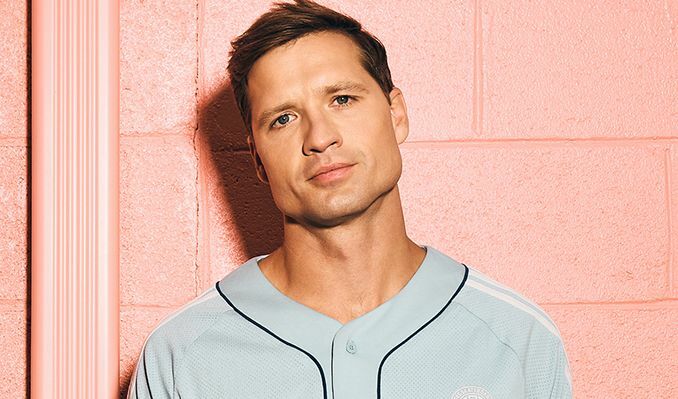 Walker Hayes (born December 27, 1979) is an American singer. He has charted three singles on Hot Country Songs and has released two albums. Hayes was born on December 27, 1979 in Mobile, Alabama. His father, Charles Hayes is a realtor. Hayes and his wife moved to Nashville in 2005, hoping to get in the country music business. He landed a job writing songs for a Nashville publishing company and then signed a contract with Mercury Records Nashville, though he was quickly dropped and moved to Capitol Records Nashville. In 2010, he released his first single, "Pants". It debuted at No. 60 on the Hot Country Songs charts dated for the week ending September 18, 2010. Kyle Ward of Roughstock rated the single three-and-a-half stars out of five. Hayes debuted the video for the song in December 2010. Hayes also appeared on an episode of 19 Kids and Counting, singing a song he wrote about Jill and her now husband, Derick's, proposal. "Pants" and a second single, "Why Wait for Summer", both appeared on an album for Capitol Records titled Reason to Rhyme. Hayes co-wrote and sang guest vocals on "Dirty Side", a cut from Colt Ford's 2014 album Thanks for Listening. He also co-wrote Rodney Atkins' late-2014 single "Eat Sleep Love You Repeat". After losing his contract with Capitol Records, Hayes worked at a Costco to support himself. In 2016, Hayes signed a publishing and production deal with Shane McAnally and SMACK/RareSpark, through which he released two extended plays. This was followed by his first single for Monument Records, "You Broke Up with Me". It will appear on his first Monument album, boom.. During an interview on 11/7/17 Walker has suggested a subtitle for “You Broke Up With Me” song might be the ‘Nanner Nanner Boo Boo’ I told you so song.